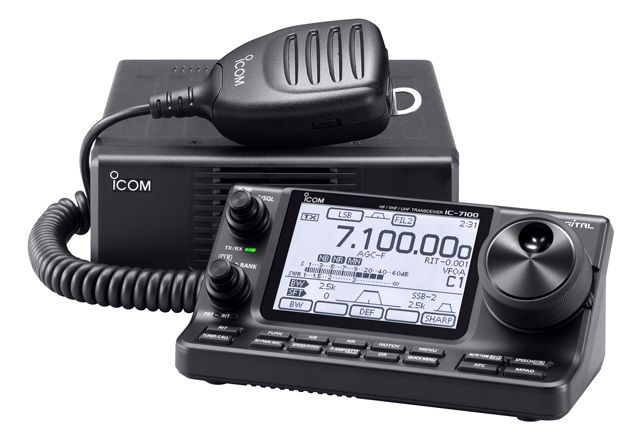 The new IC-7100 (HF/6m/4m*/2m/70cm). 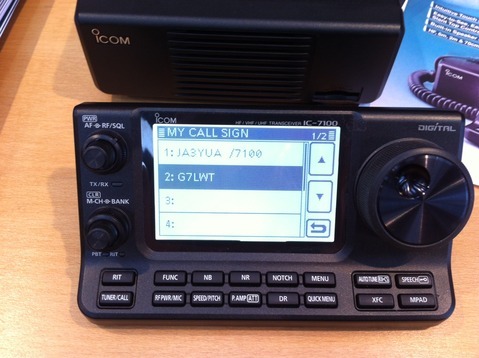 Photo courtesy Icom UK. Click for large image. Slanted front separated controller with large touch screen dot matrix LCD (controller cannot be attached to body front). Speaker is self-contained inside the controller. All-mode (SSB, CW, AM, FM, RTTY w/decode) and D-STAR DV. HF (100W), 50MHz (100W), 70MHz (50W), 144MHz (50W), 430MHz (35W). Note: Power may be different according to version. *The 70MHz (4m) band is available for EU version only. Lower current consumption/cooler operation than IC-7000. 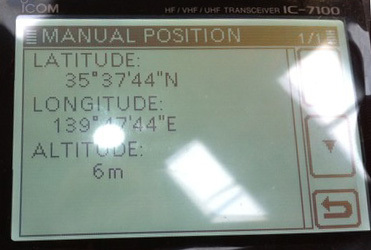 SWR meter function also works on VHF and UHF bands. IF DSP for filtering/interference removal/noise reduction. Dual DSP chips deliver versatile digital processing performance. DSP-based compression at IF level. Built-in RTTY modem with on-screen text display and programmable RTTY memory keyer. SD memory card slot, voice recording. USB Audio In/Out, remote control. ±0.5ppm (5 * 10-7) frequency stability. * 4m band (EU version only). 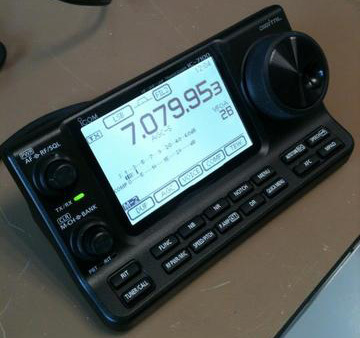 First IC-7100 in the UK: Photos by Darren Storer, G7LWT. Overall view of control head & radio unit. 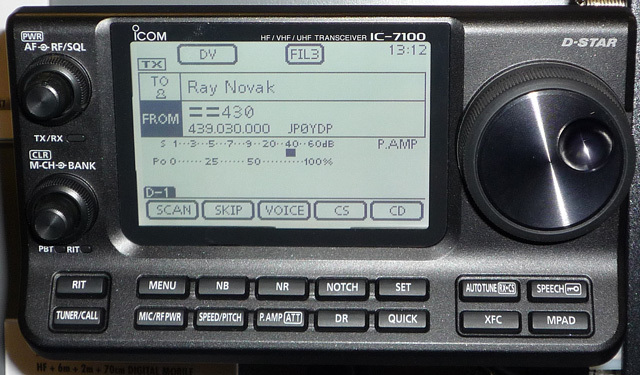 The FCC granted the IC-7100 certification on June 25, 2013. FCC ID: AFJ339300. A good IC-7100 video, from Tokyo HamFair 2012. Note control head and mounting details. 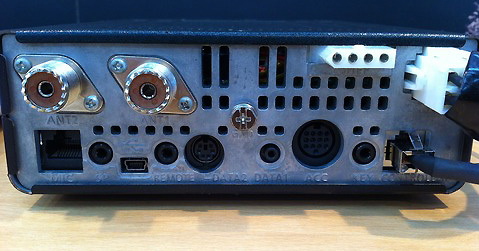 Another IC-7100 video, showing rear panel and other details. Copyright © 2012-15 A. Farson VA7OJ/AB4OJ. All rights reserved. Images: contributors as noted.